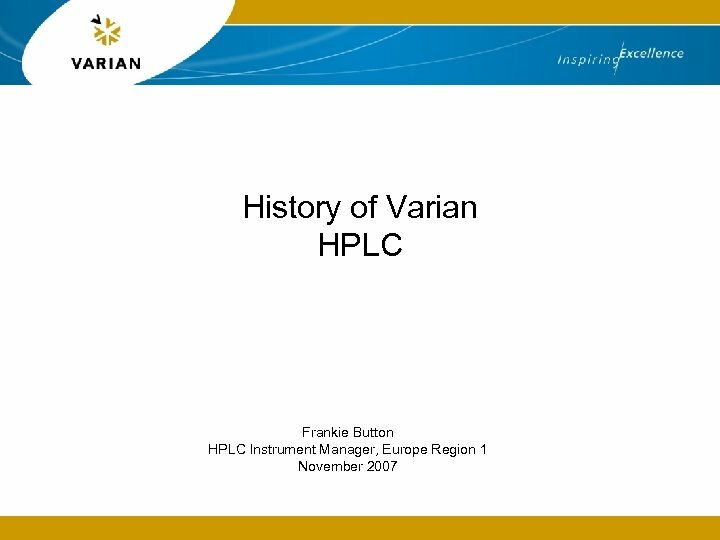 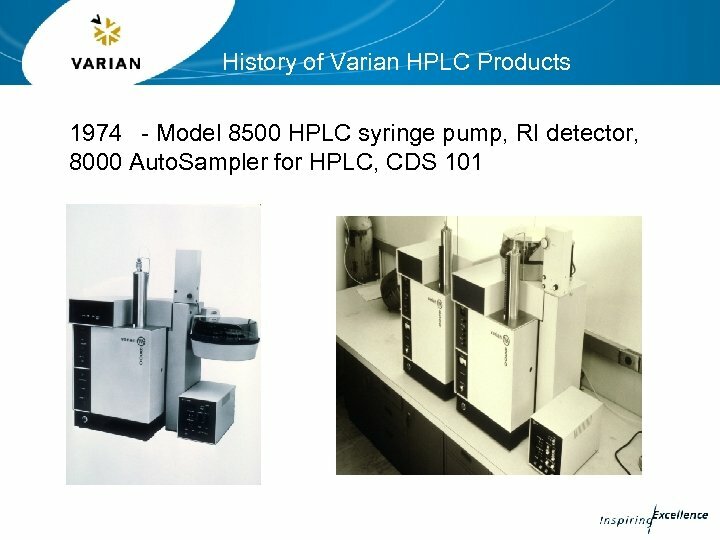 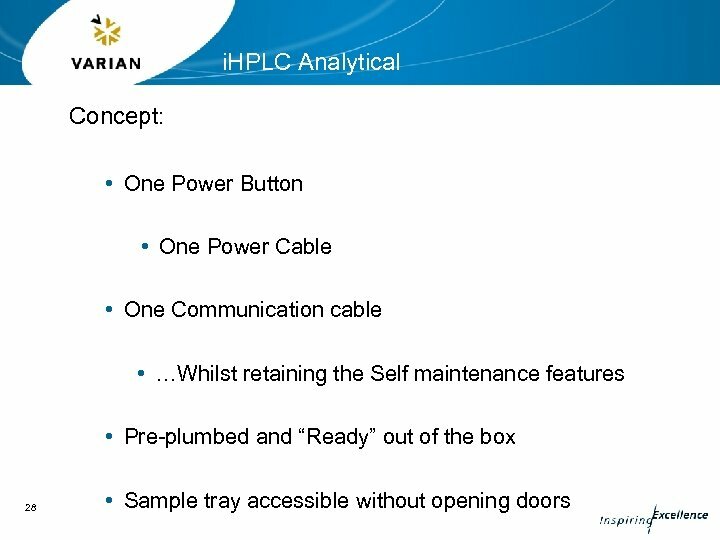 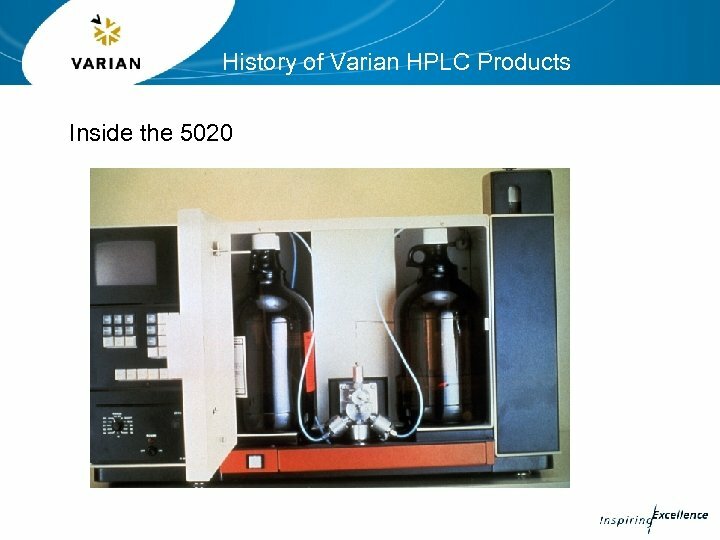 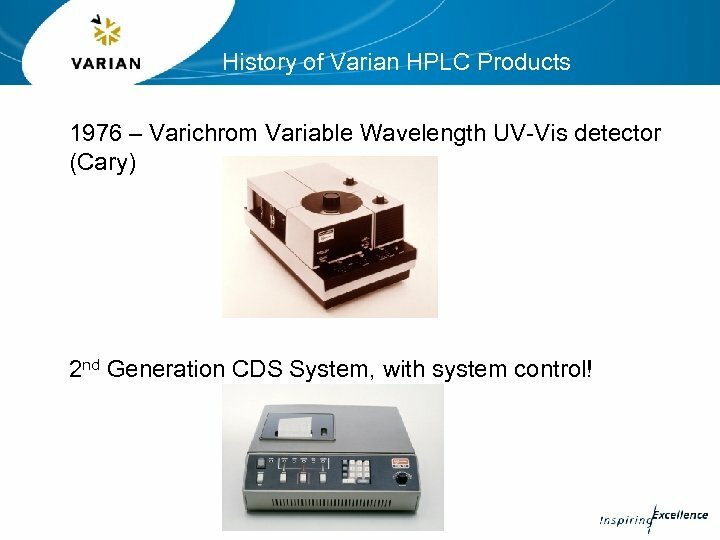 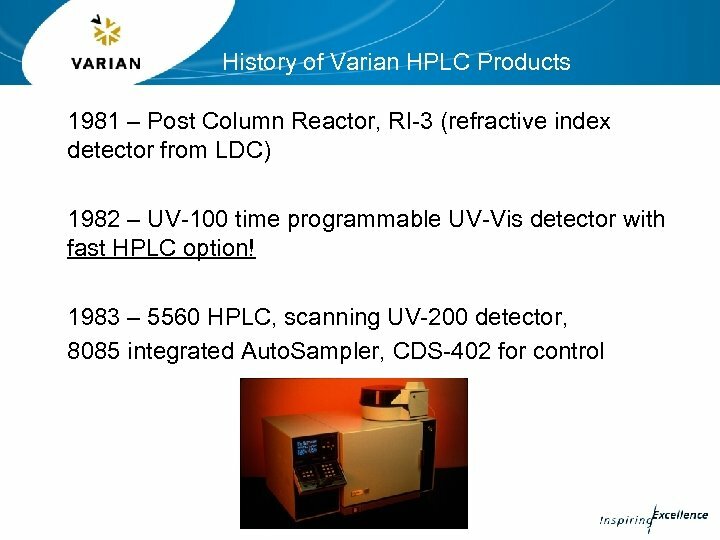 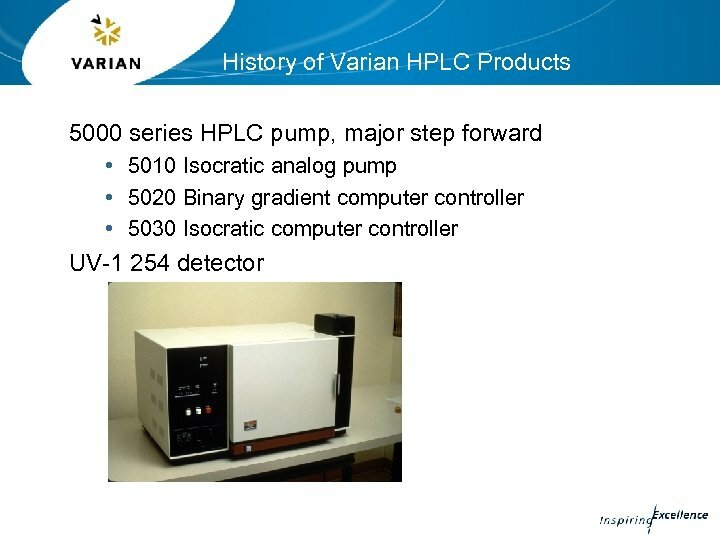 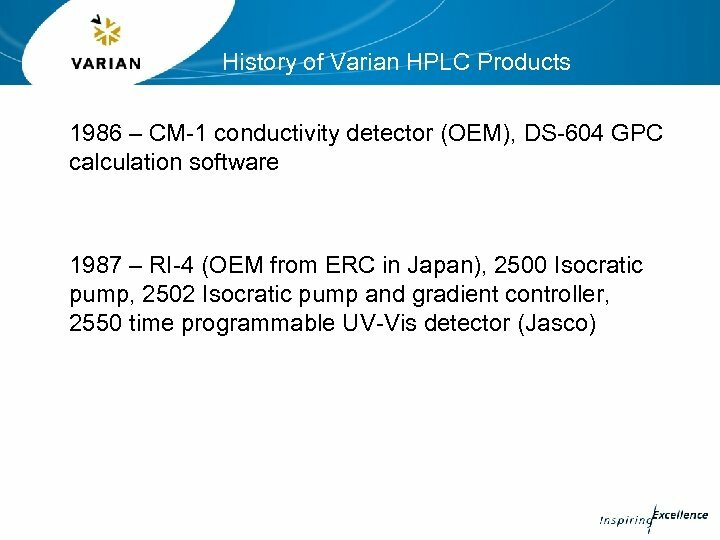 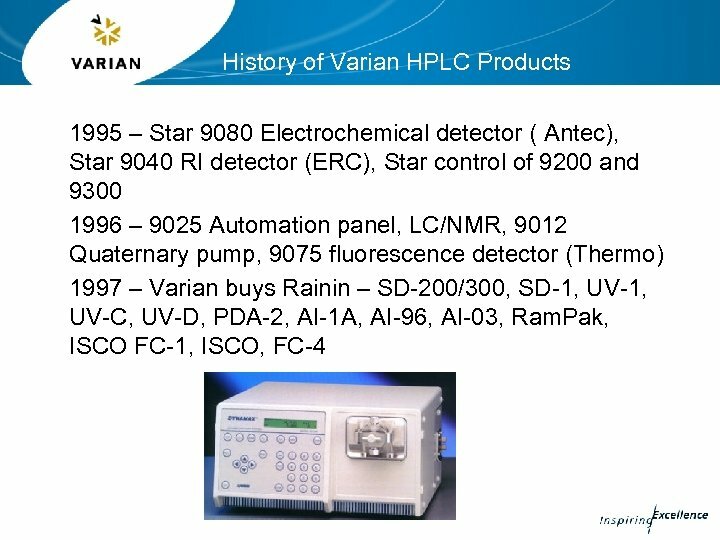 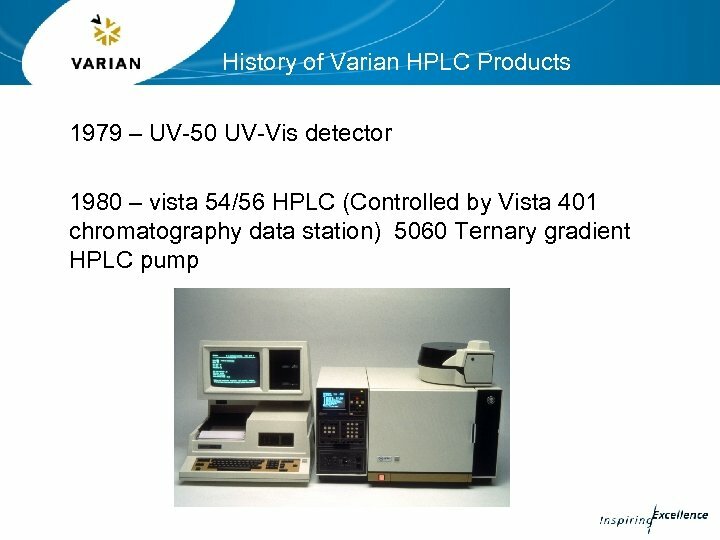 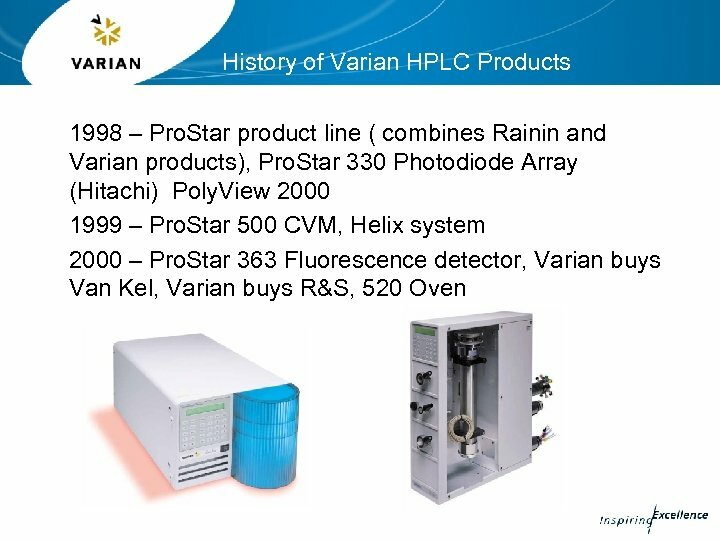 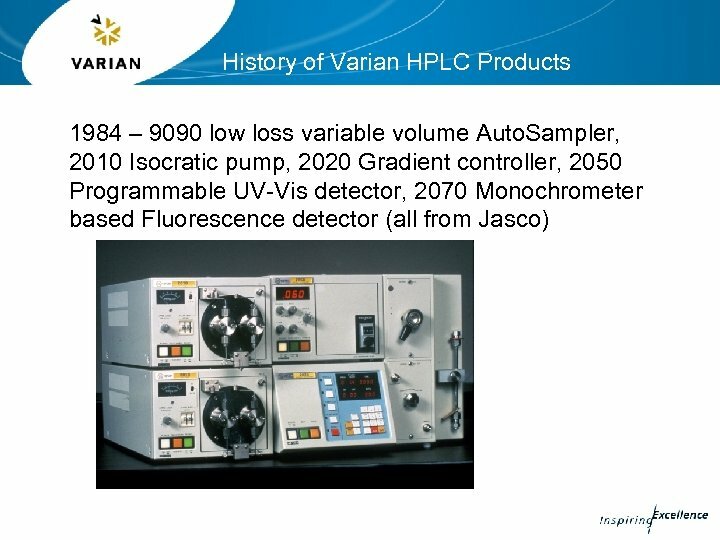 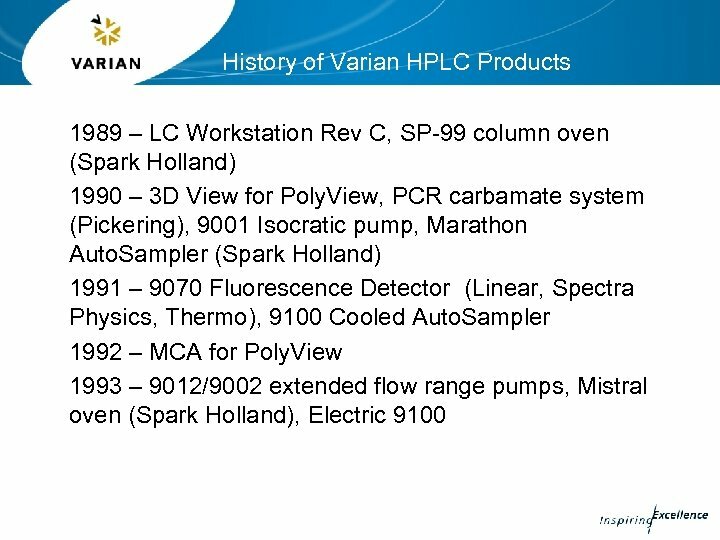 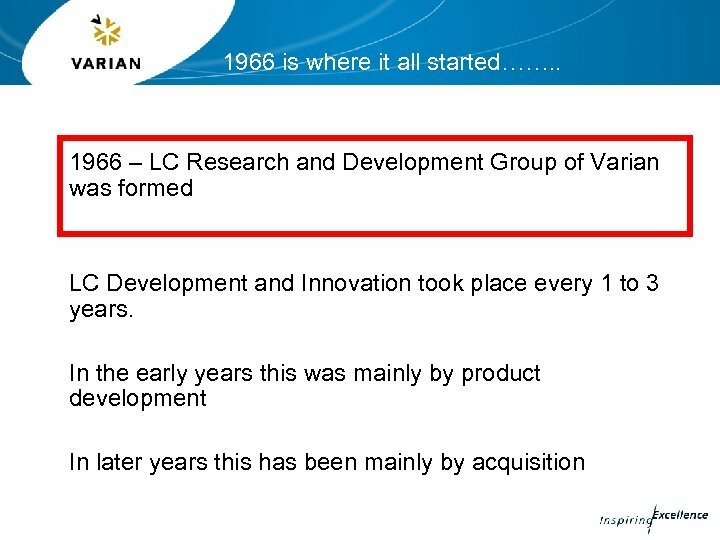 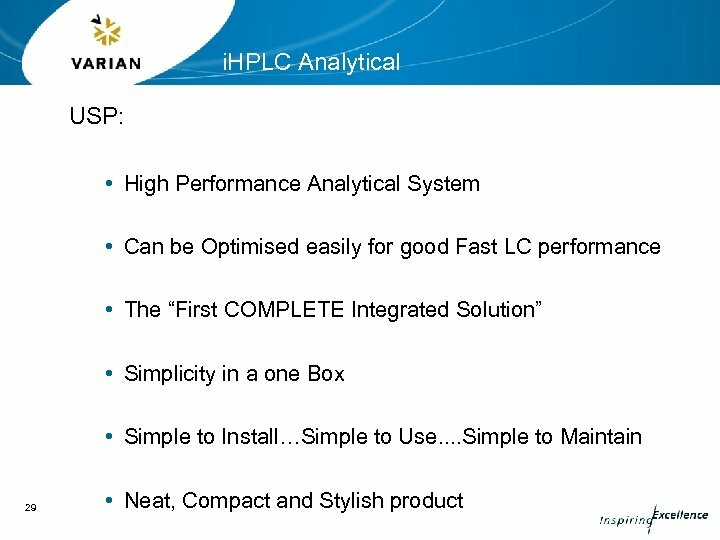 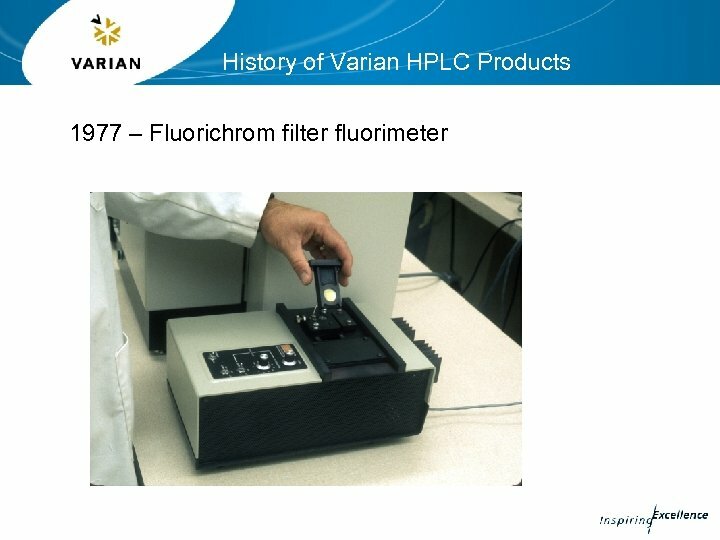 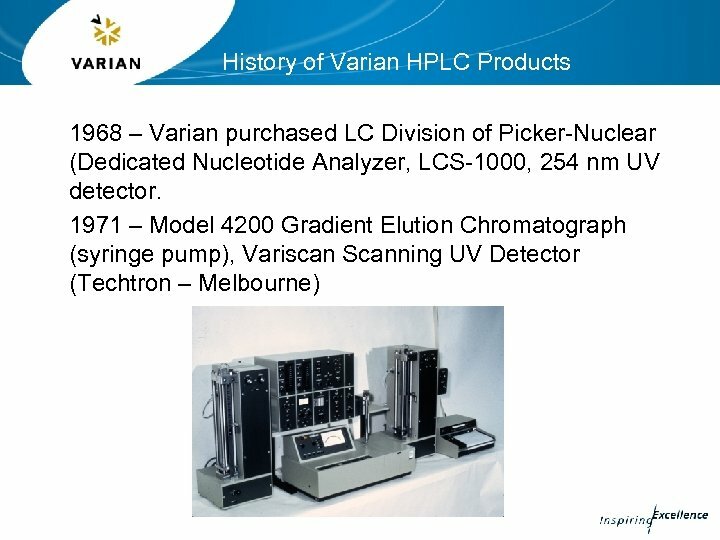 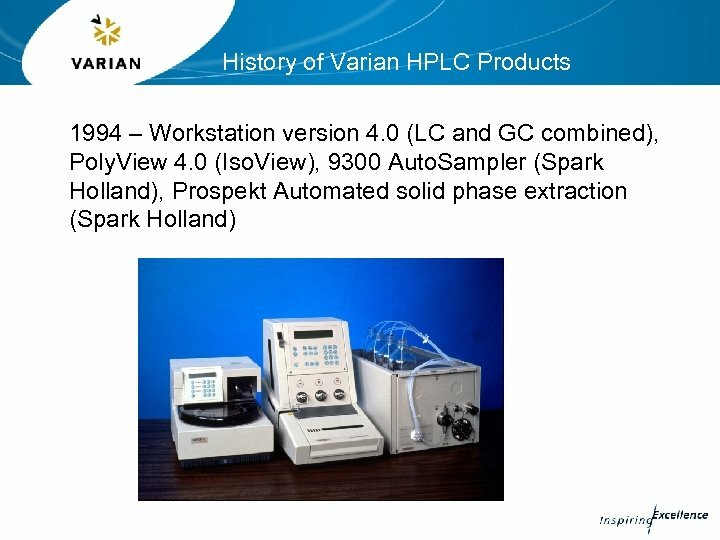 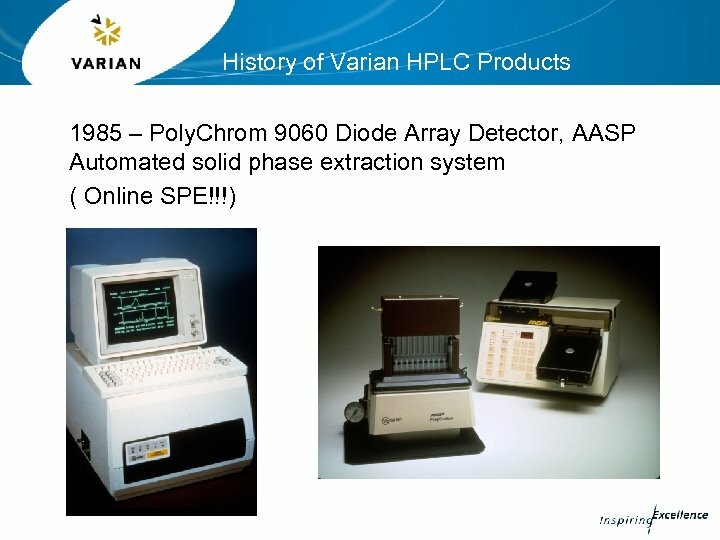 History of Varian HPLC Products 1976 – Varichrom Variable Wavelength UV-Vis detector (Cary) 2 nd Generation CDS System, with system control! 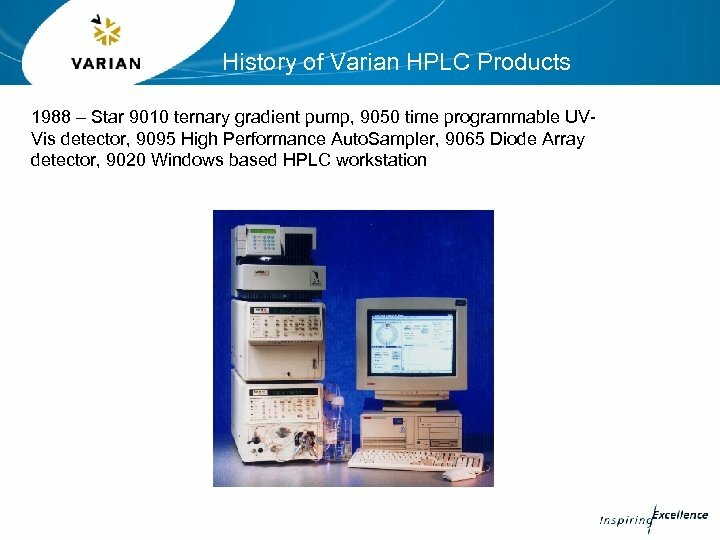 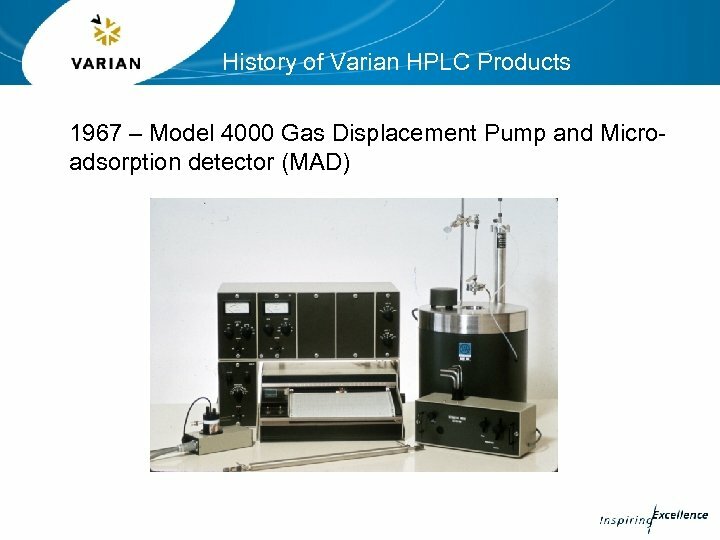 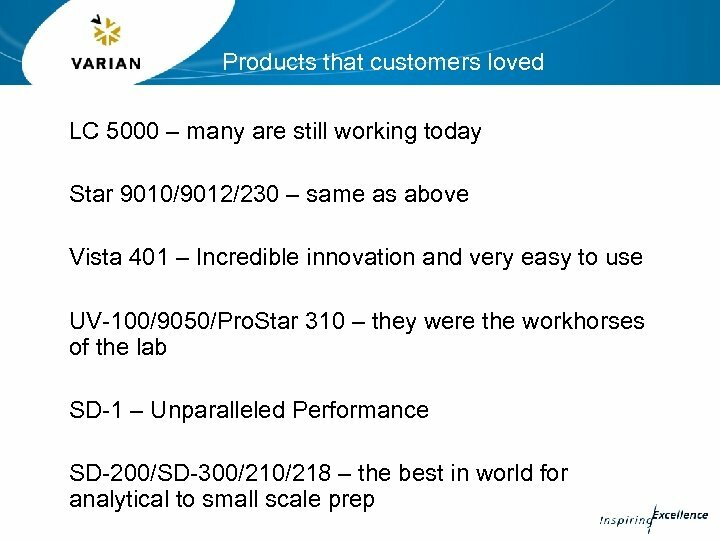 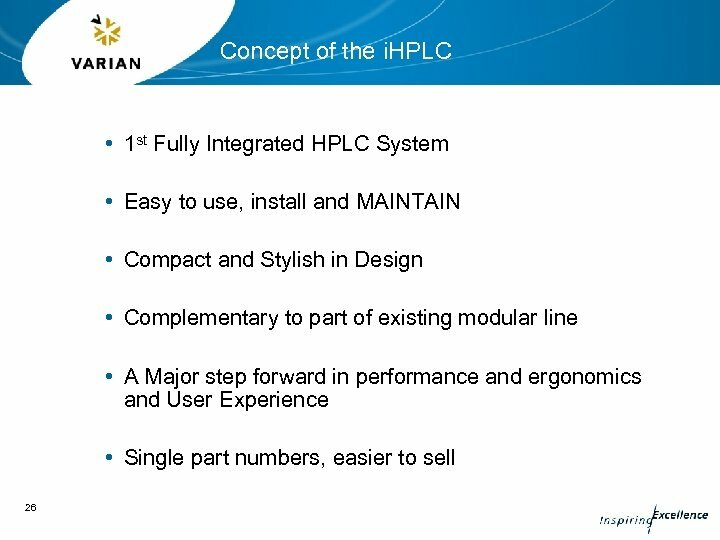 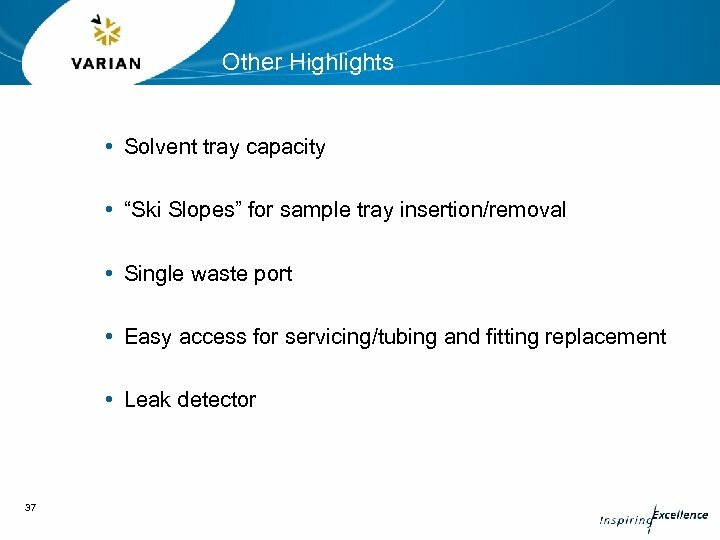 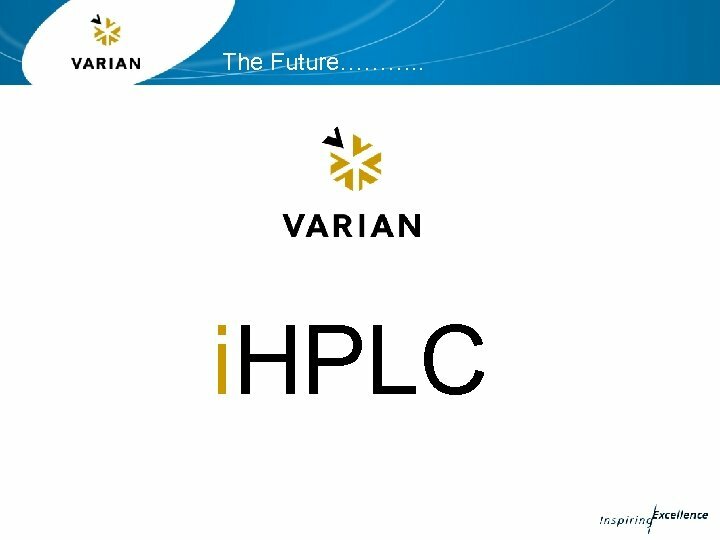 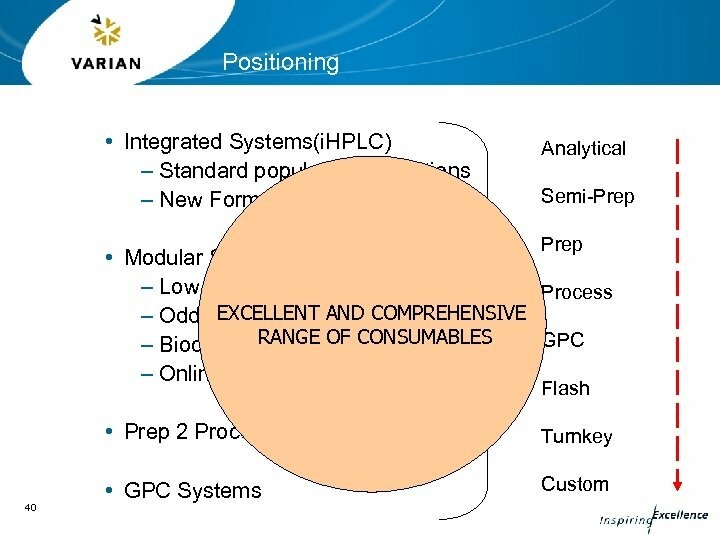 Varian products that lasted 5000 pump deign – now in Pro. 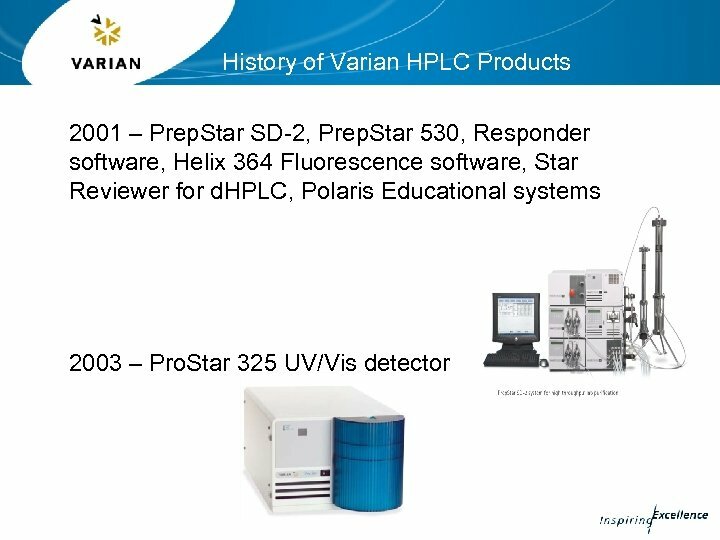 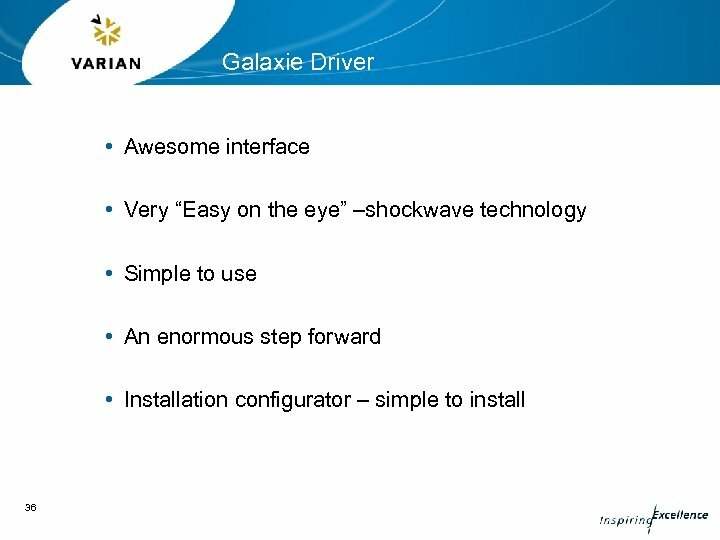 Star 230 Vista 401 capabilities – now in Star and Galaxie UV-100 design – Obsolete in 2003 by Pro. 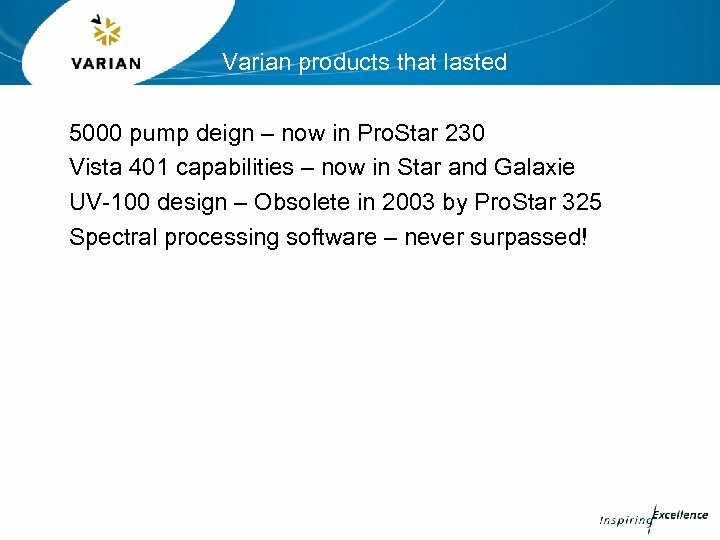 Star 325 Spectral processing software – never surpassed!